A not-for-profit education research and development organization dedicated to improving science, technology, engineering, and mathematics teaching and learning. Investigating Science Outdoors with an iPad? This summer a team of scientists will embark on Expedition #341 aboard the JOIDES Resolution, an ocean drilling research vessel, to collect sediment samples from deep beneath the ocean floor off the south coast of Alaska. These sediments are expected to reveal valuable information about Earth’s geologic and climactic past, and to inform current scientific knowledge about the relationship between global climate change, tectonics, glacial advance and retreat cycles, paleo-ocean circulation, and Earth’s changing magnetic field. Periodically, between May 29th and July 29th, Expedition #341 will be LIVE-broadcasted from ship-to-shore through real-time events and interactive Skype chats with on-board scientists, technicians, and crew. Since 2009, these live broadcasts have reached tens of thousands of students, teachers, and museum visitors nationwide, offering exposure to cutting-edge research and STEM careers. Students and teachers can get involved by signing up now for the live broadcast at or by requesting a Skype chat with the team here. Sign up now, since these Skype chats are reserved on a first-come, first-served basis. Notably, this year, Alison Mote, a teacher at the Ann Richards School for Young Women Leaders in Austin, TX, will join Expedition #341 as one of two Onboard Education Officers. An Environmental Science and engineering teacher, Alison has worked closely with TERC researchers in developing, field testing, and refining curriculum units for TERC’s EarthLabs project. With Alison’s support, TERC will be developing a new EarthLabs unit that tells the story of the JOIDES Resolution research expedition #341 and addresses how scientists learn about long-term climate change through sediment sampling and analysis. To learn more about the EarthLabs project and modules, be sure to visit: http://serc.carleton.edu/earthlabs/index.html. 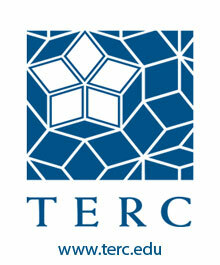 Girls Are the Newest Game Designers at TERC! How many developers does it take to roll out six versions of engaging online games in 3 days? It takes six…11-12 year old girls. The researchers behind the girls’ energy conservation badge program for Girl Scouts and the EdGE transmedia games are now investigating how girls think about energy conservation through interactive game design for their peers. In this exploratory endeavor, project researchers are evaluating how SCRATCH-familiar girls apply their engagement around computer programming to promote understanding of energy saving and the connection of energy use to climate change. 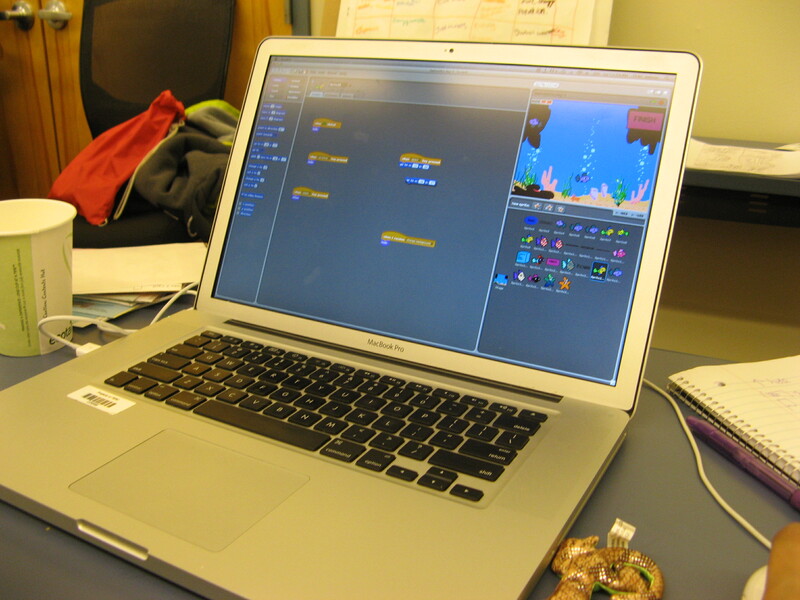 Over the course of a three-day on-site pilot, TERC researchers mentored the six 6th grade game designers as they brainstormed, storyboarded, animated, and pushed live their six respective games. The girls were already active members of the SCRATCH community, having learned about the programming technology either through school or tech-savvy parents and friends (several had been designing games in SCRATCH since first or second grade). While the girls had varying degrees of familiarity with energy issues coming into this pilot, their on-site exposure to some of the complexities of this topic led them to produce demo games uniting interactive story lines with issues of climate change, energy tradeoffs, and sustainability. Their demos included challenges ranging from rescuing fish from environmental hazards against the clock to answering energy tradeoff questions to save a penguin from a melting iceberg—and featured imaginative characters spanning a recycling and composting cat and an energy-tradeoff-wise talking flower. All six gaming gurus agreed that designing a game that was both fun AND educational was the hardest part of the equation—those categories still have the stigma of being mutually exclusive—and that there was inherent difficulty in addressing lots of ‘tweaks’ and ‘bugs’ in the game design process while not diluting the educational content in their games. But judging from the responsive and compelling games demoed by these girls, their game designing efforts paralleled how one participant described a ‘good’ game experience—“challenging, but definitely not impossible”. “Going Green” with GECCo and Girl Scouts! Remember when you got your first badge? Or that blustery day when you were with your troop, picking up litter along the beach and learning about coastal organisms? Perhaps, like me, you remember last year when you brought home two boxes of Thin Mints from the Annual Cookie Sale. No matter what the precise memory, for most, a mere mention of “Girl Scouts” sparks multiple positive connotations—after all, the Girl Scouts have established one of the best-known leadership, mentorship and service programs for young-to-adolescent girls across the country. This year marks the 100-year anniversary of the Girl Scouts—and the national theme for the centennial celebration is “Going Green”. Our local council—the Girl Scouts of Eastern Massachusetts (GSEM)—is adopting a TERC-created patch program for Juniors and Cadettes called GECCo (The Girls Energy Conservation Corps) that educates Scouts in energy conservation, energy use and climate change, and environmental stewardship. Funded by the National Science Foundation, the GECCo project team created tools, activities, and games to help girls understand how they use energy; how they can save it; and how they can act as leaders in their communities. So, the quick story is this: GECCo helps girls increase their self-and-collective efficacy about making a difference for the environment. And—as any GECCo patch recipient would tell you—“going green” has never been so much fun! While the GECCo project has already reached over 4,000 girls in Eastern Massachusetts due to this partnership with GSEM, it will now have a potential audience of thousands more girls nationally. In addition, the GECCo project team is hoping to develop a second iteration of the project that will be gender-neutral and can be worked into after-school programming. Go go GECCo!